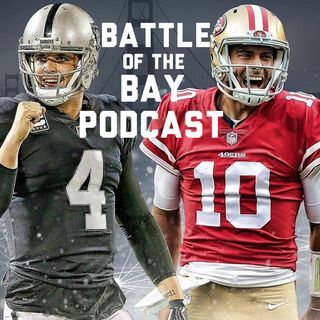 In light of the recent trade and free agent acquisitions, the BOTB Football Podcast squad spends the episode reviewing the Bay Area NFL teams offseason thus far. Later, they briefly cover the top Offensive Guard prospects in the draft and of course, end the show with Michael's question of the day at 40:29. JFK = Lee Harvey Oswald. (This is easily the most likely true conspiracy in our time). Moon landing possible fake but not likely as 3 mirrors were left on surface as proof and have been verified by laser. Hitler would be 130 on april 20th if in Argentina. I'd suggest a close second is the worthless diamonds and the Debeirs (spelling?) conspiracy.